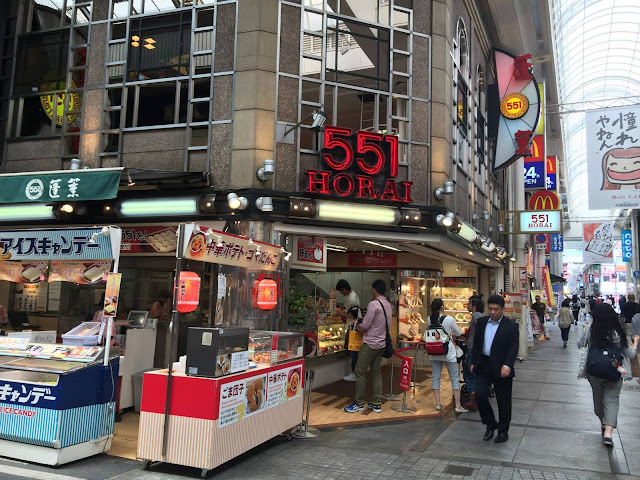 If you're heading to Kyoto or Osaka, you wouldn't want to miss this bright red shop called '551 Horai'. Located at the corner near JR Kyoto's shinkansen lines, the store usually spots a freaking long queue that always deters me from trying it. Yes, i mean long snaking queue that would probably take an hour or so before you reach the front. 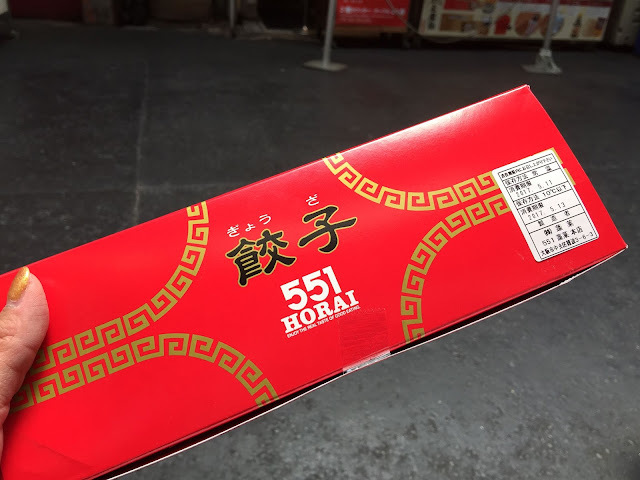 I later found out that there was another 551 Horai in Osaka and there was an equally long queue. Read on to find out how it tastes, and additional tips to beat the long queue! Additional Tips: Don't waste time queuing— the best time to visit is 11-11.30am or close to 9pm. Also, don't miss the ice bar located right outside Osaka— it sells freshly prepared ice bars! I received a lovely sweet red box with a sticker that shows my date of purchase. Each box is customised to your order. 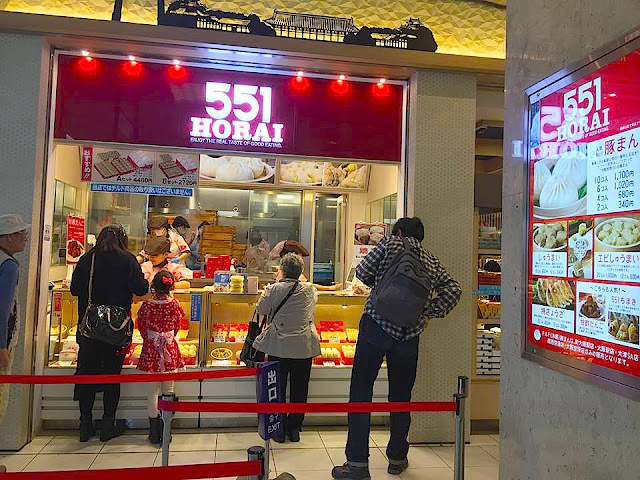 551 Horai is one of the most popular barbecue pork bun stores in Osaka, selling more than 110,000 buns every day. The buns consist of diced pork and minced onion encased in a sweet, white bun. These buns are handmade fresh and you can see the kitchen crew in action behind a large glass window. Two buns can be bought for ￥320. During summer (July - August), ice bar is on sale at ￥105 each bar. It is delicious even if you bake it like a hamburger steak! The ingredients consist of wheat flour, pork and soybeans. The gyoza and nikuman are amazing in value. I observed the people waiting in the queue and found that it was a good mix of Japanese and Chinese tourists. Some agree that it is worth the wait. There are other options such as the 850-yen bento (excluding beer). Every dish is served hot and fresh! 551 Honori's "Gyoza" is full of fresh vegetables. 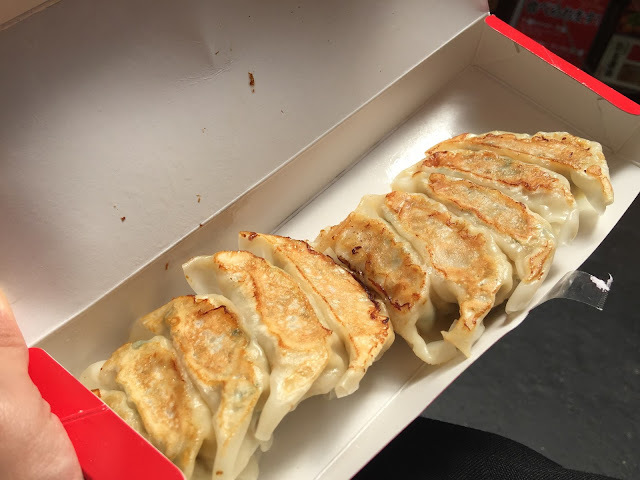 Each dumpling contains a mix of wholesome Japanese and Chinese cabbage, leek, garlic, ginger and pork. This leaves a harmonious balance of texture. The gyoza also comes with two sachets of chili spices that would help accentuate your appetite. It's best eaten while hot and crispy.